A New Messaging Ecosystem is Happening Now! The rapid development of new digital technologies and consumers’ growing demand for enhanced communication capabilities has lead a global transformation in mobile messaging. 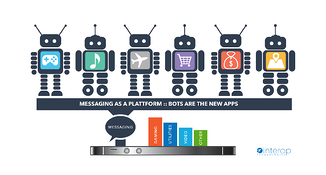 Messaging as a Platform (MaaP) is a messaging ecosystem, built upon the technical foundation established by the Rich Communication Services (RCS) universal profile to advance today’s business to consumer (B2C) interactions and ultimately drive new business models for mobile operators. 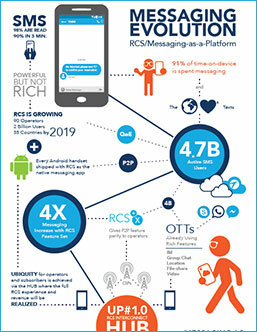 Combining advanced messaging capabilities from RCS with chatbots, artificial intelligence (AI), APIs, operators are able to deliver conversational commerce experiences to their subscribers through Interop's RCS Business Messaging and retain the global ubiquity and subscriber trust that application-to-person (A2P) messaging provides today. Start the Path to Monetizing Messaging.